Also known as brambles, this group of delicious fruits includes Raspberries and Blackberries. With our mild winters and relatively cool summers, the Pacific Northwest is renowned for its prolific crops of delectable berries. Vigorous and productive plants, they produce abundant harvests of fruit, great for fresh eating, freezing, and preserves. We fill our freezer every year and relish their summer sweetness throughout the winter. Although their true parentage is unknown, it is considered to be a blackberry crossed with either 'Loganberry' or red raspberry. A very large, sweet and flavorful, deep-maroon colored berry. Boysenberries grow vigorously on our farm. They tend to ripen mid-July to mid-August and make excellent jam, syrup, pie fillings and cobblers. We do not cultivate this variety (Rubus lacianatus) on our farm on purpose. It is one of the wild brambles that is naturalized in Oregon and grown intermixed with wild blackberries (Rubus ursinus) and the 'Himalaya' (Rubus discolor) along our farm's fence line. Appearing as early as 1850 and a native of England, 'Evergreen' blackberries have been spread along the Pacific coast by birds and is often considered the traditional blackberry. Other common names include Cut-leaf blackberry, Cut-leaf bramble, Laciniate bramble, and Parsley-leaf bramble. 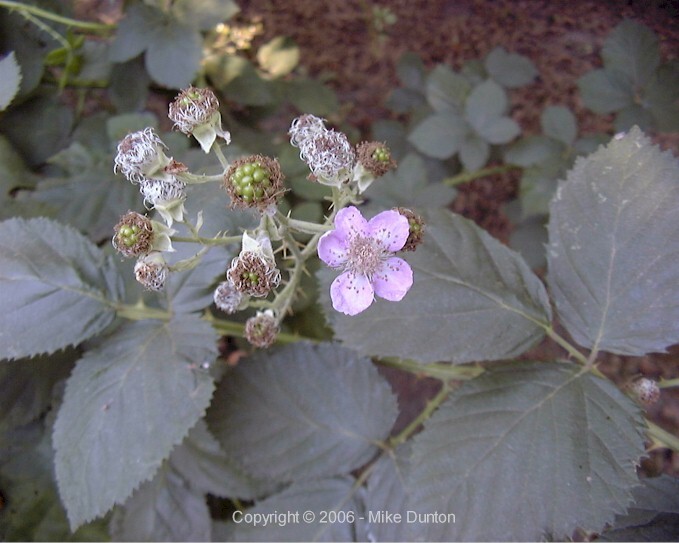 Rubus discolor is another blackberry variety that has naturalized in Oregon and is actually quite invasive. It is found everywhere here and that is not an exaggeration. The only saving grace is that the berries are awesome. Juicy, relatively large, and flavorful. The 'Himalaya' blackberry was introduced by Luther Burbank in California in 1885. He originally believed that its origins were in the namesake mountains of Asia but later learned that it was of German origin. Click here for his words. Prized for its rich and interestingly tart, delicious flavor. It is a cross between a red raspberry and Blackberry. Loganberries produce very large, maroon colored berries that make delicious syrup, preserves, pie fillings and wines. Loganberry is easy to grow, thornless, and therefore easy handle. This very popular variety is named after Oregon's Marion County where it was developed as a cross between 'Chehalem' x 'Olallie' and introduced in 1956. They are a large-sized berry with flavor said to be superior to 'Boysen' or 'Evergreen'. They ripen in about July. Size at Maturity: 12 to 15 feet in length. Pests & Diseases: Caneberries are generally free of insect and disease problems. Birds can become a problem, cover the plants with netting or use noise deterrents. 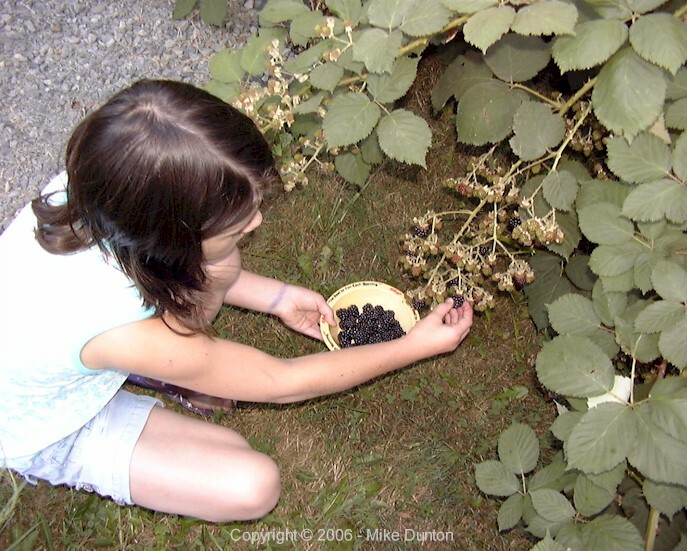 Hardiness: Blackberries are hardy to approx. minus 10°F. 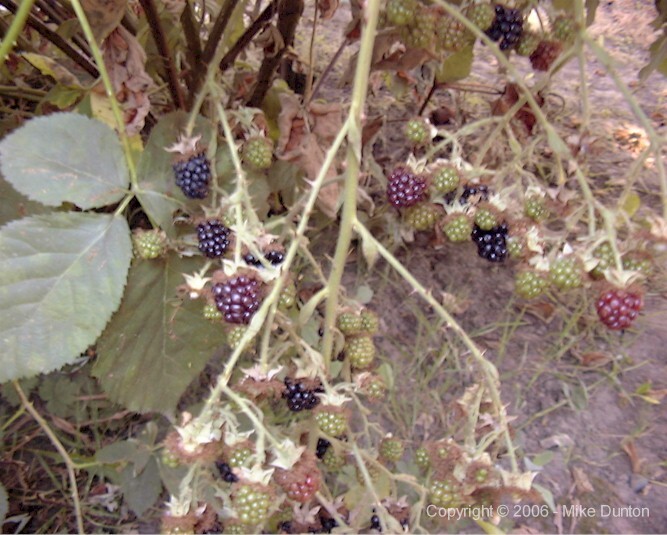 Bearing Age: Blackberries begin bearing the year after planting. Special Care: Space 'Marionberry', 'Loganberry', and 'Boysenberry' 5 to 6 feet apart. Rows should be 6 feet apart. Heavy posts and two parallel wires spaced about 4 feet apart are used for trellising the berries. In addition to the above named cultivars, we also have wild blackberries (Rubus ursinus) on the farm. We originally attempted to eradicate them (along with 'Evergreen' and ''Himalaya') but the reality is, they have a stronghold here in Oregon and it is a losing battle. We keep them grubbed out in areas we actively use but have started allowing the to create hedgerows around the perimeter of the farm.